Tim Constant is the founder and creative director of London-based indie developer PanicBarn. Deciding what career to pursue can be one of the most difficult questions when growing up. Even after starting down one path, many of us quickly realise this isn’t what we want long-term. Moving from one profession to another is something that not only takes time, effort and courage but always brings with it risk. London-based indie developer PanicBarn was created by Tim Constant in 2012 and since has launched the Tika Taka Soccer series for iOS and Android, as well as dystopian PC title Not Tonight where players must fight back against the oppressive government. The studio's the latest title is Galactic Soccer, an amalgamation of Super Mario Strikers and Golf Story. We caught up with Constant to discuss his career so far, the challenges he has faced and why developers need to diversify. 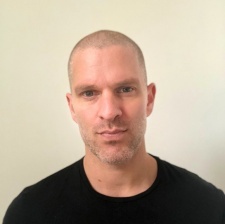 Tim Constant: My first job out of university was at the London-based casual games network Playjam, working on set-top box games and TV applications. After I left, I think they diversified to the game stick (remember that?!). Then I worked through various start-ups and smaller companies ending up at SkyTV again working on set-top box software. Arguably a very sensible career choice but I always wanted to make games. After a few years, I had an opportunity to move back to Somerset, where I grew up, and started making games for myself. With hindsight, I should have made the jump a long time ago. In 2015 I founded a company and started out taking a game by myself from conception to launch. 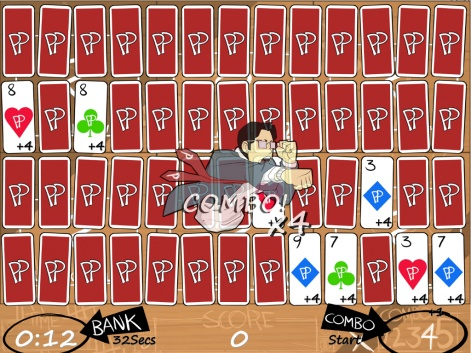 A simple puzzle game on Flash and iOS called Pair Panic. I then moved on to Tiki Taka Soccer where I saw an opportunity in the mobile space - a lack of a football game with decent touchscreen controls. That worked out and have been working on various projects since. Recently due to the start of conference season it's getting a build of my new game Galactic Soccer ready for Reboot Develop and other events. So typically, after catching up with emails it's been mainly bug testing (which can prove difficult especially as I need four hands to test some components of the local multiplayer) and then feeding this back into project management and planning. Lots of business development planning co-insides with the production of this build. That summarises a typical day at the moment. However, due to the multi-hat wearing nature of production, this can change at any time and varies from project to project. At some point, I get to do some game design and decide what’s next, which is the fun stuff. What have been the biggest challenges you’ve faced so far as an indie? Surviving in the marketplace. If your project doesn’t live up to the sales projections, what can you do? The only way to mitigate that risk is work for hire or multiple projects but with multiple projects you multiply the issue of funding and complexity of multiple projects. So, it’s managing this balance which is the biggest challenge. Being in a financially stable position where I can still make creative decisions. Premium mobile appears extremely tough as a solo indie. Working with a publisher looks like the best option. This allows you to open up doors to multiple featuring opportunities and help with launching multi-platform. Free-to-play as an indie also appears very, very tough without a budget to soft launch, test metrics and user acquisition, so again working with a publisher seems essential. Apple and Google does appear to provide new opportunities, although getting paid by time played feels bad. Amazon Underground didn’t work out well, so it will be interesting to see how it turns out. It feels without publisher support it’s a big risk regardless of free-to-play or premium. I don't work for a publisher by the way. Recent news from Apple and Google does appear to provide new opportunities, although getting paid by time played feels bad. Amazon Underground didn’t work out well, so it will be interesting to see how it turns out. Could you tell us about your most recent game? Not Tonight is a post-Brexit dystopian adventure on PC. Think Papers Please spot the difference gameplay but as a bouncer set in post-Brexit Somerset. It's an anti-Brexit game but also an attempt to capture the satellite town mentality and a general feeling of neglect these areas of England have felt since austerity. Already launched on Steam and out on consoles soon. As mentioned Not Tonight console versions and also, we have the Not Tonight One Love DLC soon, which takes place in France and is essentially the same style puzzle gameplay with a dating game. The Nintendo Switch version of Not Tonight is particularly exciting as a Nintendo fan. Also taking the new build of Galactic Soccer to events. Will be playable locally up to four people for the first time so excited to see how it holds up. Finally, always looking to create mobile prototypes and partnerships due to the reduced development time these take to get going. I’ve got a couple of ideas in progress. System Shock 3. So was very glad to see they just released a teaser trailer. What advice would you give other developers on ‘making it’ as an indie? One thing I touched on is to diversify. If one game fails financially, which is likely, another can pick up the slack. Even that sounds ridiculous when it’s so tough to launch one title. Also, the pre-launch Discord community we worked on with Not Tonight opened up my eyes to how important it is to create a community of fans and noise around your game leading up to launch. Mike Rose of No More Robots has some interesting presentations discussing this. Well worth a watch.